Alosa Health is a company that strives to put new medical research into the hands of more medical practitioners. Alosa recognized the need to streamline how they collected feedback from clinicians out in the field. By empowering their network of clinical educators with simplified FormAssembly forms, they were able to gain flexibility and showcase proven results. 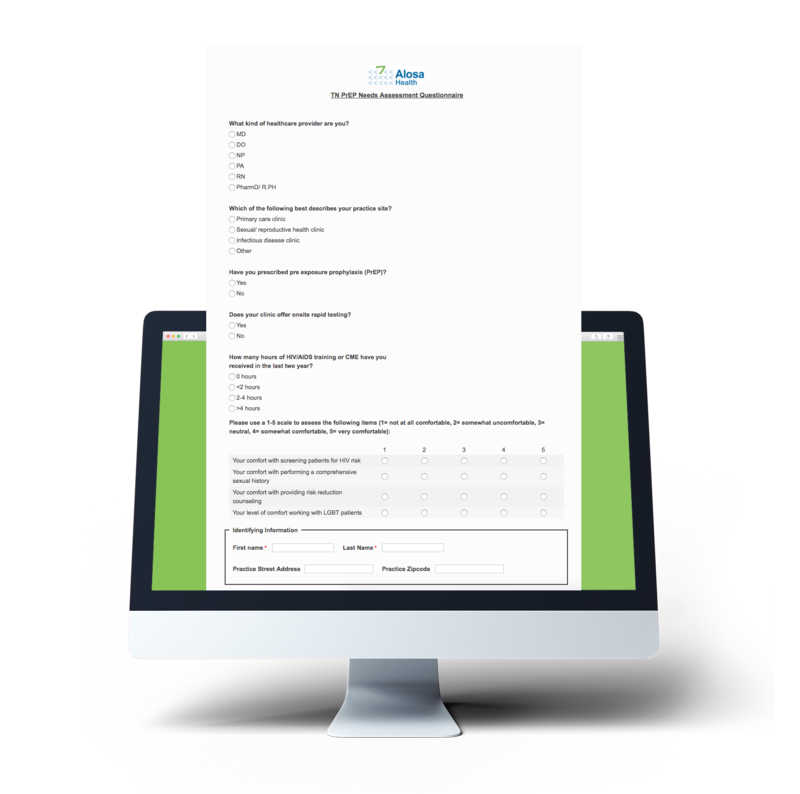 Prior to discovering the FormAssembly solution, Alosa Health was using paper forms to conduct baseline needs assessment and collect post-program feedback from health care practitioners who participated in education programs. “We were dealing with paper forms, which meant that sometimes you’d get part of it not completed. And then there is always the issue of deciphering handwriting,” Edelberg shared. Once the forms made it back to the office, via fax, email or snail mail, data had to be transcribed and placed into an Excel document. This meant using valuable time for simple data entry. In addition to the administrative burden, Alosa had a more difficult time tracking and reporting on program outcomes to their stakeholders. We didn’t have any sense of where we were starting off, and if we were moving the needle from the starting point,” Edelberg said. While their use case has evolved over time, one of the biggest results of using FormAssembly for Alosa Health has been a simplification of their administrative processes. Not only have they removed the step of cumbersome data entry, but Edelberg reported that they were even able to free up physical office space since they no longer had to have storage for paper documents. By using FormAssembly, Alosa can now send clinical educators out into the field with an iPad that has a pre-built web form and is set up as a desktop icon. This provides an easy route to collecting valuable survey information on-site. When Alosa reports findings, they’re using data that FormAssembly helps them collect. This allows us to demonstrate our worth to clients, partners, and people who fund the work,” Edelberg said. Alosa employs practitioner surveys to quickly gain feedback by evaluating program success. Alosa’s primary use case involves using FormAssembly to survey medical practitioners, both before and after participation in education programs. The surveys allow them to gain quantitative data around program impact, and qualitative data around how the program is perceived by participants. They are then able to transfer this data directly to their Salesforce org. In the future, Alosa Health hopes to transition to using FormAssembly for all program evaluations. As they overcome hurdles to technology and barriers to organizational change, Edelberg believes that FormAssembly is the way forward. Features like the FormAssembly mobile app (which requires no wifi) may provide a huge opportunity in serving practitioners in rural areas where wifi is not accessible. Does your healthcare organization need HIPAA compliant web forms? Learn more about our Compliance Cloud plan.